My Final Fall 2018 Post...I Think. The light under this spectacular tree was magical. The sun was behind the tree, filtering through its magnificent fall canopy. The light reaching the individual fallen leaves was sensational, dramatic and definitely picturesque. Enjoy. Winter is close with a whole different beauty AND FRIGIDNESS. Nothing needs to be said. Just enjoy. Nature is stunning. Nothing to add. Enjoy. It’s been a spectacular fall. I’ve roamed around our town with the cameras. The colors will soon be gone. In case your location or the busyness of life has prevented you from enjoying the beauty of fall, stay tuned. There are more. 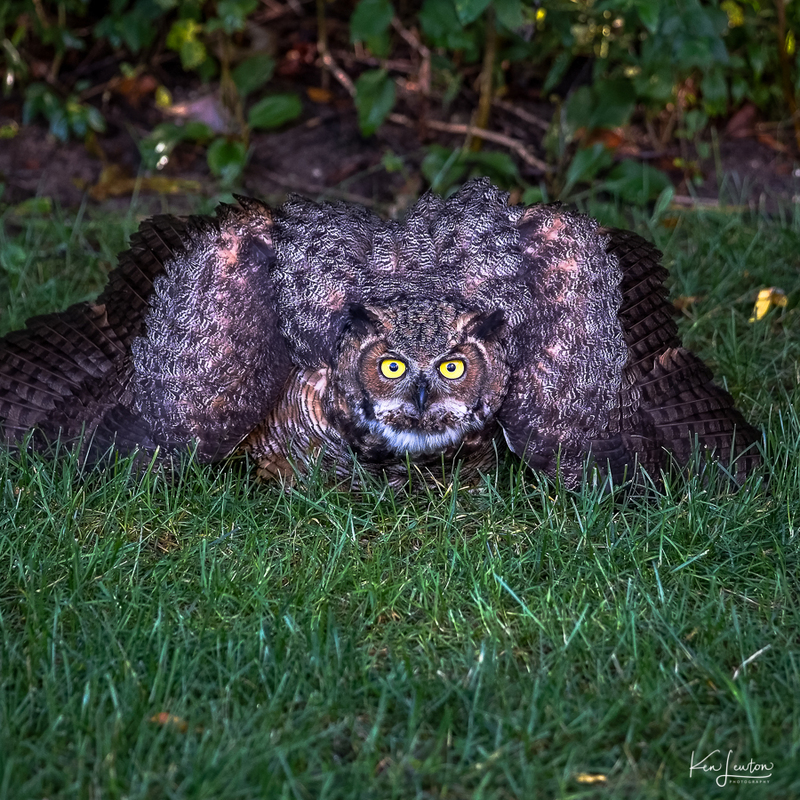 A magnificent owl in our back yard. The eyes are stunning! We’ve heard it making all kinds of racket at night. Here it sits in broad daylight. It’s much larger than I expected it to be. It “puffed” itself up as I approached a little closer, making it even more intimidating.